Brazil plans to incentivise bamboo production and processing, announcing $4 million worth of R&D investment and future tax cuts in seminar attended by INBAR. 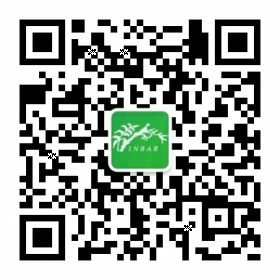 INBAR’s suggestion that the bamboo industry be expanded to represent at least 0.25% of the country’s GDP was adopted. Producers, researchers, architects and investors in the bamboo sector in Brazil are celebrating. An important step in the promotion of the Brazilian bamboo production chain has been finalised, with the signing of a $4 million contribution from the Brazilian Enterprise for Research and Industrial Innovation and the Ministry of Science, Technology, Innovation and Communications (known in Brazil as Embrapii) for research and development in the sector. 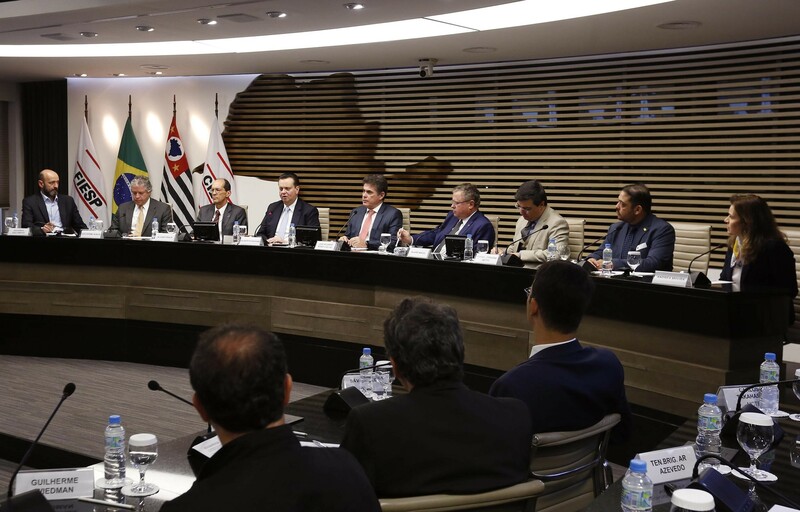 The announcement was made on August 28th during a seminar entitled “The Brazilian Bamboo Economy: Technology and Innovation in the Production Chain”, at the Federation of Industries of the State of São Paulo, in São Paulo. The purpose of the event was to bring together representatives from the bamboo industry and from the government to invest in new possibilities for agribusiness and industry, focusing on the hi-tech potential for bamboo fiber. (Photo: Helcio Nagamine – FIESP). On the morning of the meeting, after listening to the country’s top bamboo specialists speak, the Minister for Agriculture, Livestock and Supply, Blairo Maggi, gave a speech discussing bamboo’s potential in agriculture and ecosystem services, particularly in land restoration and for bioenergy. Maggi has agreed to reduce tariffs to encourage bamboo production in Brazil until the end of his mandate. 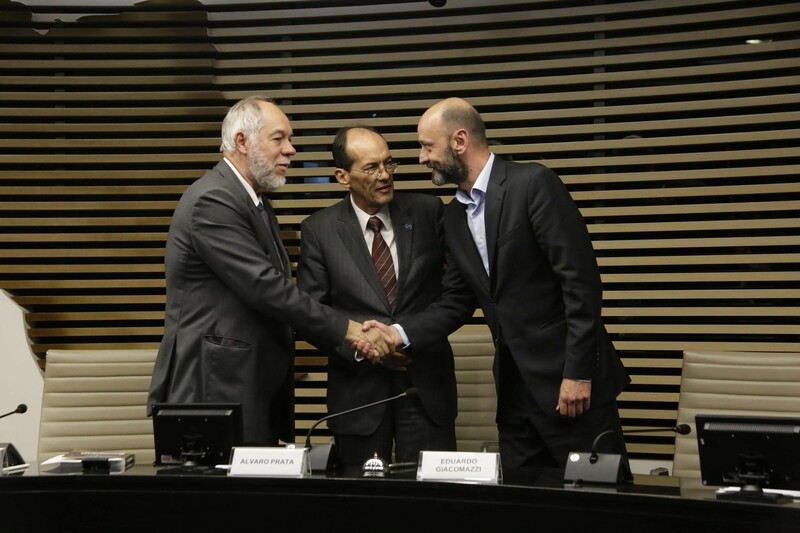 The Agreement for Cooperation and Project Promotion with Bamboo will allocate about $4 million – $1.5 million from the Ministry of Science, Technology, Innovation and Communication and $2.5 million from Embrapii – to the best projects sent by researchers, producers, private companies and universities. The call for participation will be published soon on Embrapii’s website. “Bamboo has seen relatively low investment in research over the last few decades in Brazil. In China, this industry has a turnover of $30 billion/year, so there is a large deficit to be met – which from here on will receive our full support,” said Minister Gilberto Kassab. While China – the largest planter and producer of bamboo derived materials in the world – invests and increases bamboo production each year with carefully recorded information on the industry, Brazil has no specific data to evaluate its performance. “It is unfortunate that we don’t have this mapping yet. We have already asked for the bamboo to be added to the Brazilian Institute of Geography and Statistics survey next year, as well as satellite mapping of forest and plantation mapping,” explained Guilherme Korte, of the Brazilian Association of Bamboo Producers. Brazil has the largest natural reserve of bamboo on the American continent, with an estimated 18 million hectares of bamboo-dominant forest in the south-west Amazon basin. 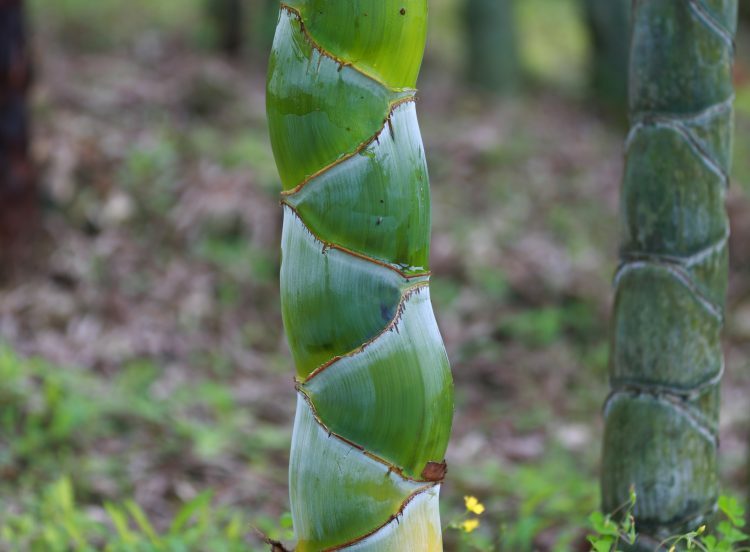 258 species of bamboo are known to grow in Brazil, most of them endemic. In his speech at the event, Pablo Jácome, regional coordinator of INBAR for the Latin America and Carribean region, enumerated some measures for the future success of the bamboo industry in Brazil, such as its cataloging as a primary resource in the Economy, public policies to encourage its applications as restorer of degraded soils and combating the effects of climate change (a bamboo forest captures 200-400 tons of CO2 per hectare), and above all, changing the social and cultural paradigm of bamboo in consumer awareness campaigns. “Brazil has the potential to be at the cutting edge of the development of the Latin America bamboo industry. Drawing up a national strategy in a participatory manner, with articulation of public policies and private actions, is fundamental for political and technical support and to leverage the bamboo industry in the country”. Jácome also stressed the importance of developing the resource industry for processed bamboo, since the sale value of processed bamboo is much more that of the material in its primary form. The examples of other INBAR member states in improving their value chains could be key. He continued to explain that Brazil is a global leader in technical capability for the production of machinery for the agricultural sector. Research and development of equipment to the harvesting and management of bamboo would be transformative for the region. “Brazil is the only country in Latin America with considerable experience in bioenergy generation – the country is the world’s second largest producer of biofuels. Not investing in bamboo as a sustainable energy source, including as charcoal, would demonstrate a lack of strategic vision for the continent’s development”, he said. Pablo concluded his speech with a challenge: that the bamboo industry take it’s place in Brazil’s economic landscape and become responsible for 0.25% to 0.5% of the Brazilian GDP within the next five years. Brazil has been an INBAR member country since November 2017. In 2011, the Brazilian Government approved a measure they called the National Bamboo Policy, with the aim of encouraging the next generation of jobs and increasing income with carbon credits for bamboo. The measure, however, was never put into practice. The representatives of bamboo in Brazil expect the measure announced at this event to eventually become the real proof of the Brazilian government’s commitment to sustainably realising the potential of this precious resource.